Trailer for Jeremy Lin’s new movie now playing in theaters. 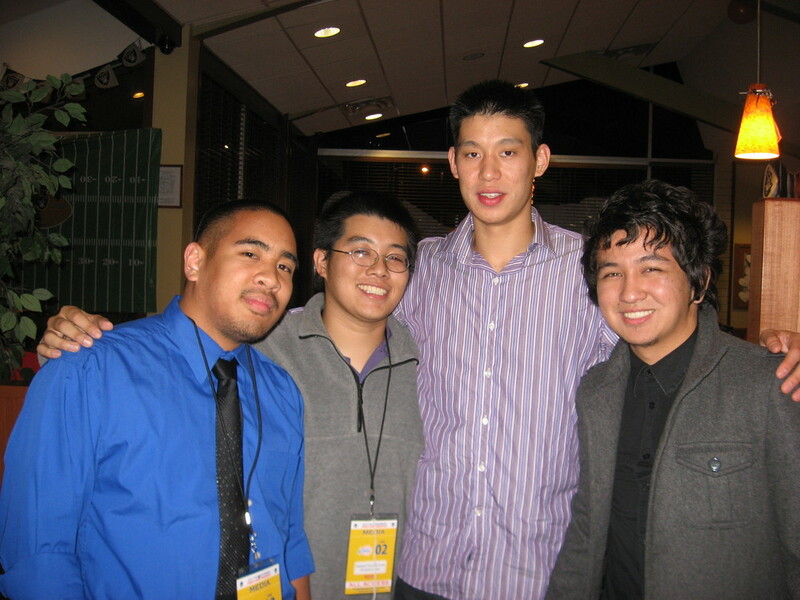 When Jeremy Lin made his NBA debut, I was in the house for that. It was 2010 and it was the Golden State Warriors’ second game of the season. It was also Asian Heritage Night. I was very lucky to have gotten a media credential to that game. There wasn’t a lot of expectations for Lin. He was way low on the depth chart and the only way he would get some action on the court was if the game was a blowout. Sure enough, late in the game, the Warriors took a commanding lead and it was then that then head coach Keith Smart decided to put Lin in the game. The reaction to Lin was off the charts for every opportunity he touched the ball even though he didn’t attempt a single shot in his short time on the court. But it didn’t matter. I just witnessed history as Lin became the first Asian-American to play in a regular season NBA game. Following the game, I went into the locker room. There were a ton of media waiting for Lin. It wasn’t as big as I thought, but there were still a lot of people waiting for Lin to get out of the shower to talk. There were American and international media waiting for him. After Lin stepped out of the shower, he put his clothes on and sat down. There was an awkward silence. As I realized that there was a hesitancy to start talking to him, I decided that I might as well break the mold and start asking him simply how he felt after such a big night like. My story on that night can be read here or here. Lin has been thankful ever since his first day in the NBA. He knows he has been blessed by his supporters, his faith and everyone for his journey. And he is proud to be Asian-American, something that I too take pride in myself. He’s also very outspoken about his faith, which I am too. That night was just a huge rush of excitement for everyone. It took a crazy turn when he joined the Knicks and the entire world was following him. It’s slowed down a little now that he’s with the Rockets but the impact of his career continues to capture people. I can’t wait to see this movie and I am proud to say that I was there for the start and been supporting him since the beginning. I’m proud of you, Jeremy! After his NBA debut, Jeremy Lin and his family went to eat at the nearby Denny’s. Coincidentally, that’s where my friends Truth and Mark went to eat also. We ran into Jeremy and his father was happy to take this photo of us. This entry was posted in Basketball, Golden State Warriors, Houston Rockets, Movies, NBA, New York Knicks and tagged Jeremy Lin, Linsanity. Bookmark the permalink.